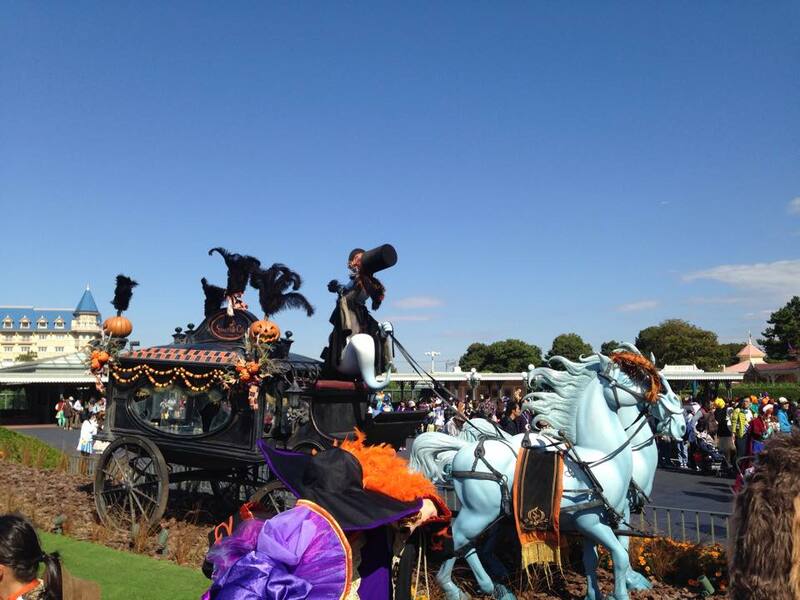 If you like Disney, costumes or cosplay, then you’d probably love Halloween at Tokyo Disneyland. 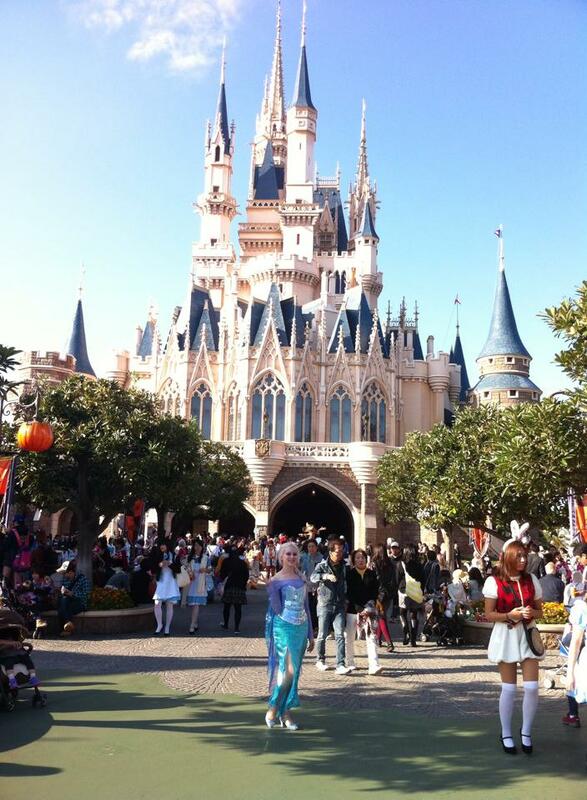 In the first and last week of October, adults are allowed to dress in Disney themed costumes at Disneyland (but not Disneysea) provided that they follow a few rules (eg, costumes mustn’t be scary, skimpy, dangerous and need to be Disney themed). People go to so much effort with their outfits, some getting super creative with their ideas. You’ll find everything from groups of people dressed as 101 Dalmatians, to endless girls as Alice in Wonderland and others dressed as cupcakes from the tea party, mother/daughter Elsa/Anna combos, the candlestick from Beauty and the Beast and even the occasional Mary Poppins. And that’s just to name a few! Last year I wore a simple Alice in Wonderland costume, and I was so inspired by what I saw that this year I went all out with a Frozen costume which I made in the weeks leading up to my trip. 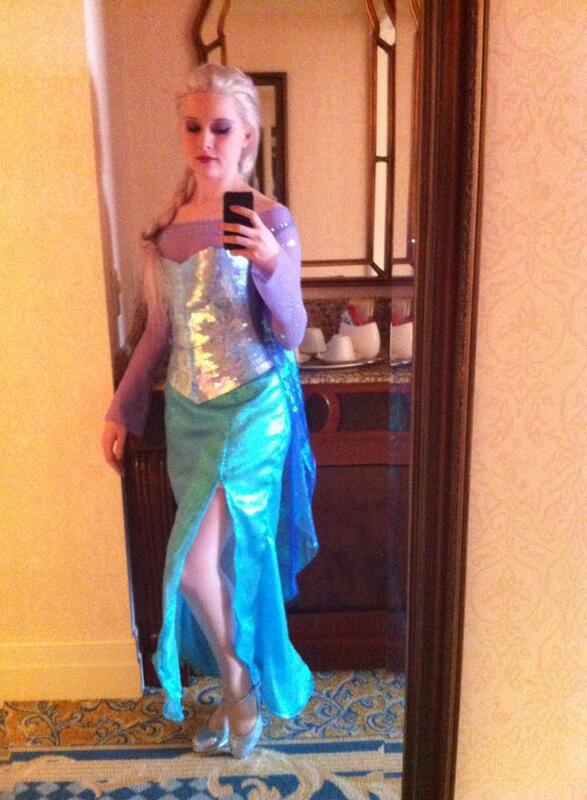 It was a big hit, too – apparently people liked that I was able to look kind of like Elsa without wearing a wig. 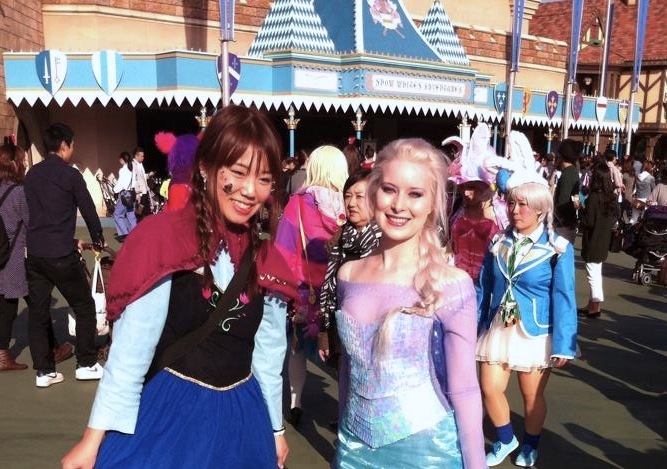 I posed for photos with so many other people who were also in amazing costumes, including more than a few girls dressed as Anna from Frozen. Getting ready in our room at DisneySea Hotel MiraCosta – the five star hotel located inside DisneySea. 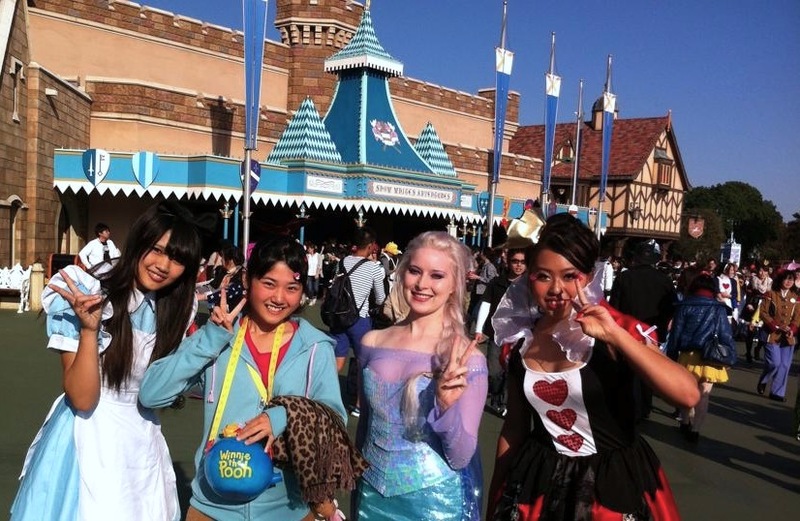 My skirt and cape were a little shorter and less flowing than I would have otherwise made them, but I was conscious of wanting to be able to get around Disneyland on easily throughout the day. The cape was detachable in case I needed to take it off. In order to get the bodice to look similar to what Elsa wore in the movie, I cut up and glued on hundreds and hundreds of small rectangles of sequin sheeting. 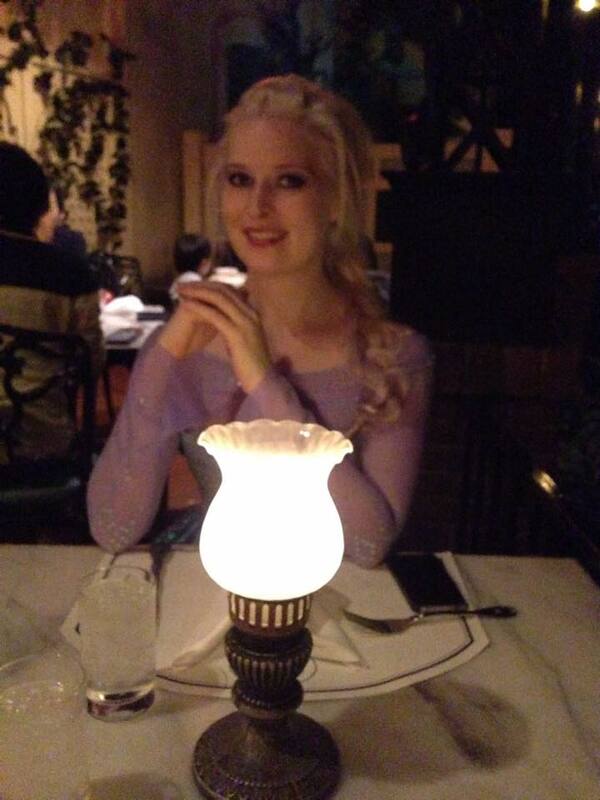 Stopping for a quick Elsa shot outside the Disneyland hotel. 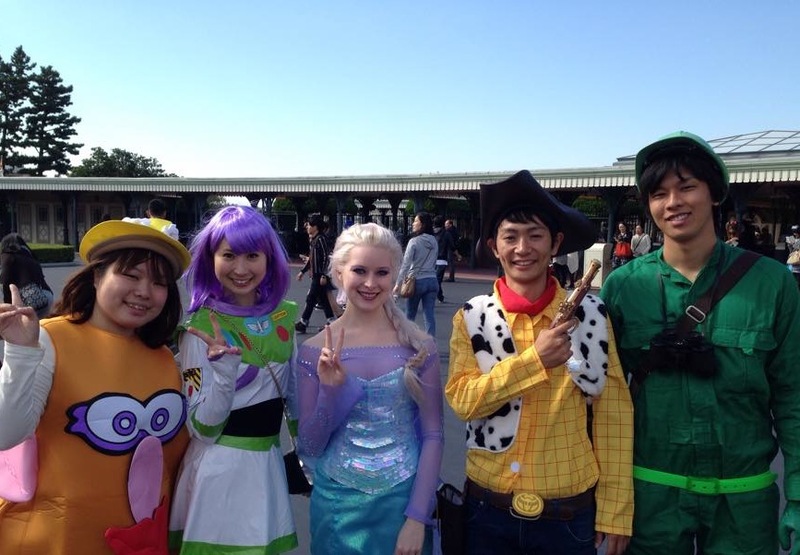 Posing with a Toy Story group out the front of Disneyland. 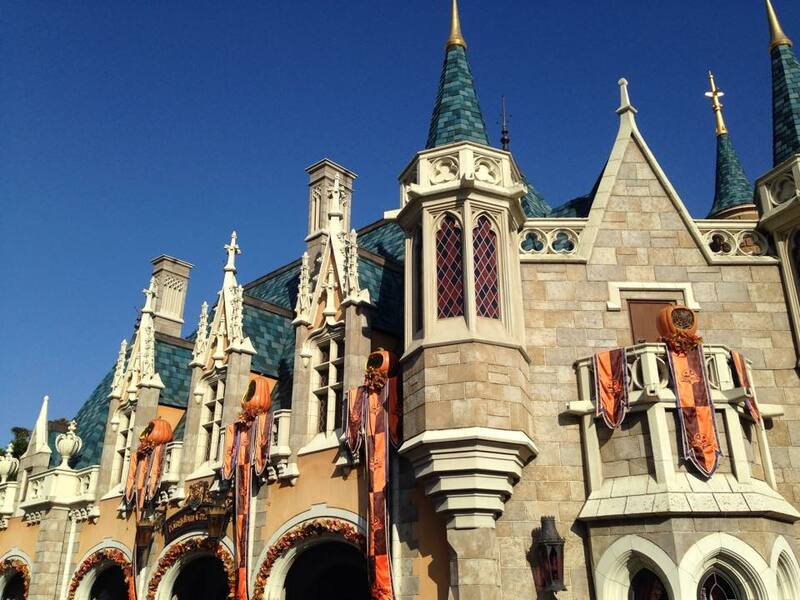 For those wanting to take photos out the front of Disneyland, there is the option of lining up here. 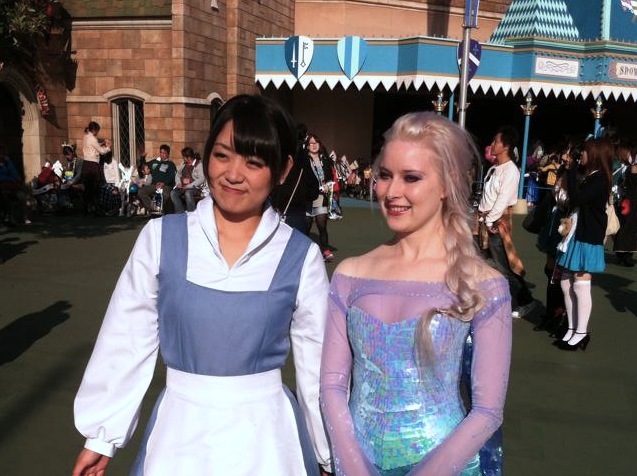 Cast members will take your photo on whatever phone or camera you’ve got, as well as offering the opportunity to have a professional photo taken which you can pick up later in the day. We went with all of the above, and the professional photo was really nicely done. 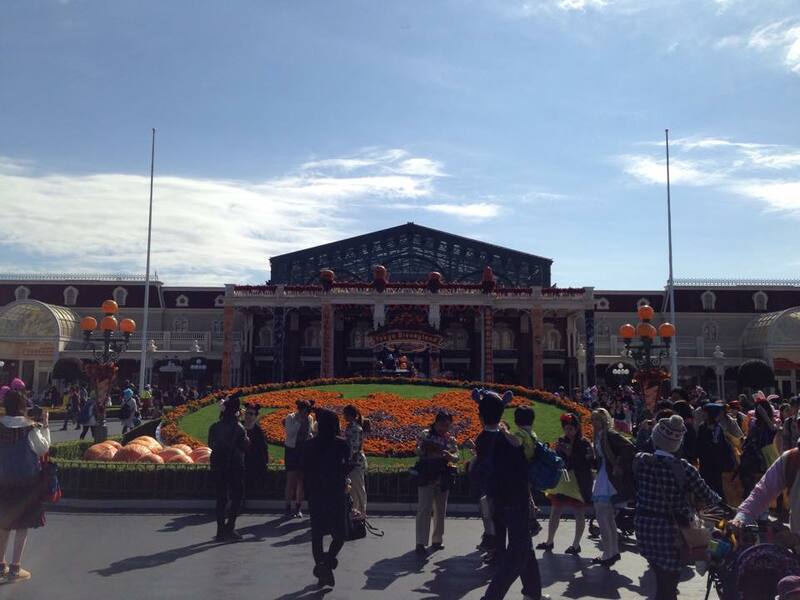 They took the photo a few times to ensure it was just right, and it was nicely presented – we were glad that we did this as it made for a really nice souvenir, especially considering that I was in costume (my partner was not, but he did wear a Halloween Mickey t-shirt purchased at Disneysea the day before). 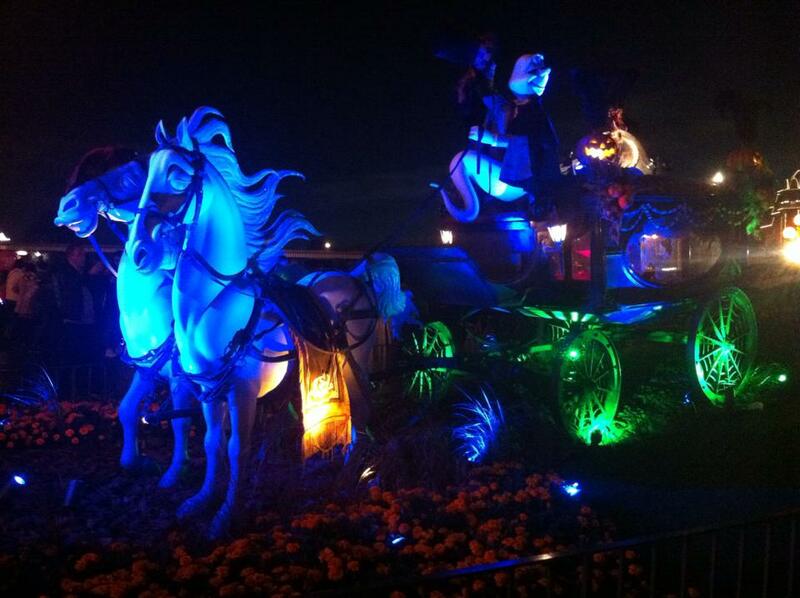 Decorations out the front of Disneyland. 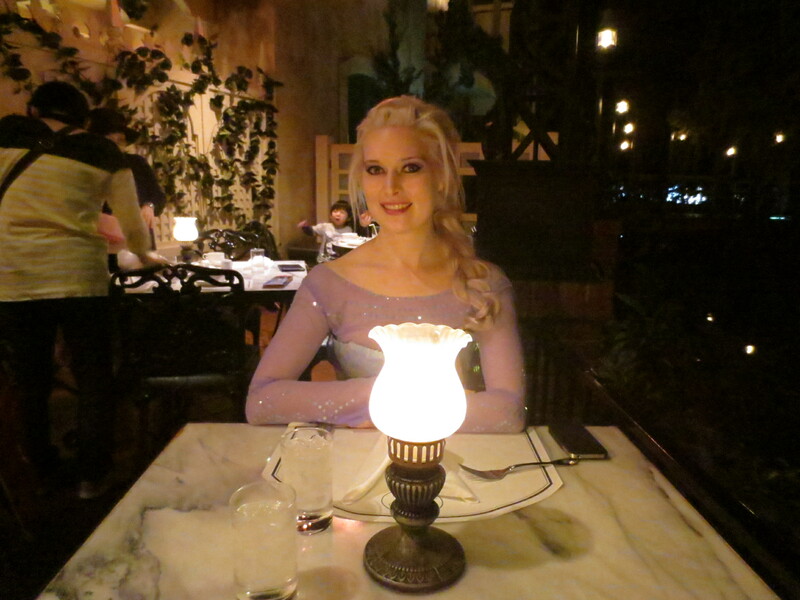 Lunch at the Blue Bayou – the restaurant located within the Pirates of the Caribbean attraction. Posing for a quick photo in front of Cinderella’s Castle before taking a whole lot of photos with other people. It was incredibly bright and sunny, so my eyes were watering and I was having trouble keeping them open in these photos! Alice in Wonderland and the Queen of Hearts. 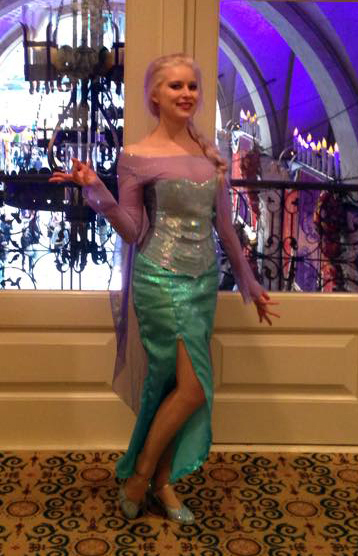 One of many great Frozen Anna costumes! 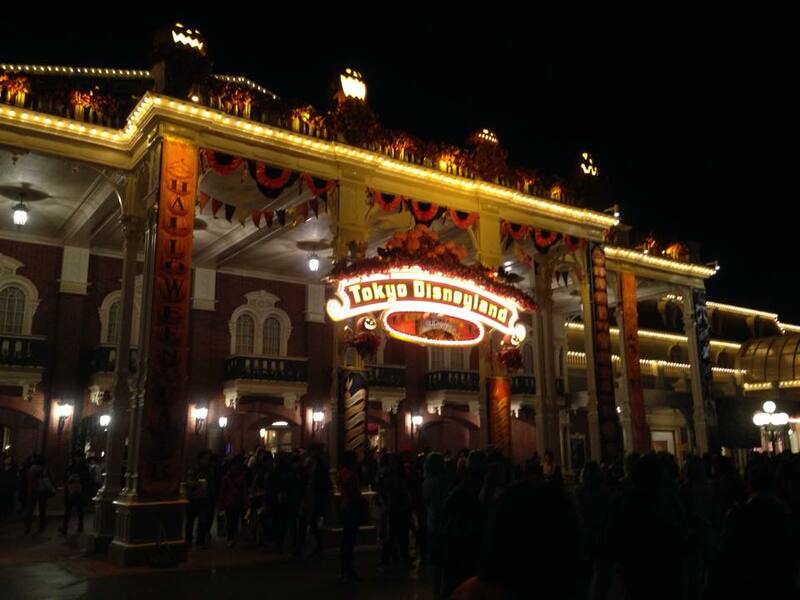 The front of Disneyland by night. 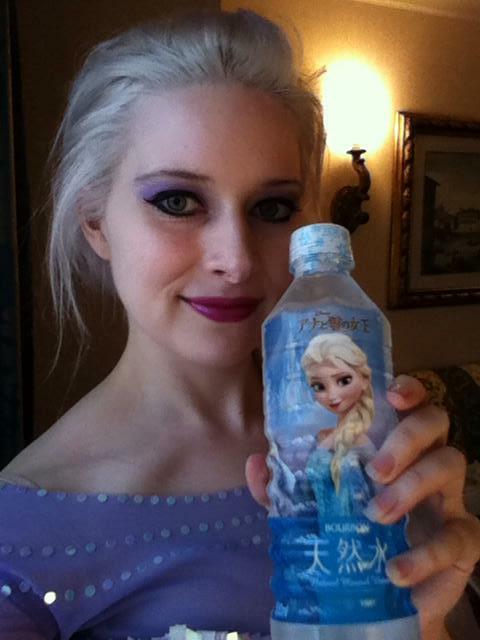 Tired, disheveled, but I found an Elsa water bottle to match my costume! 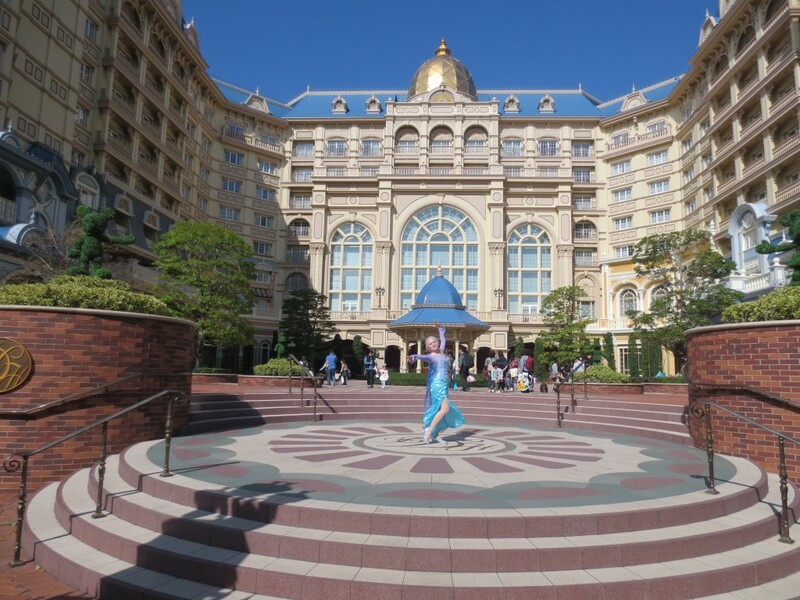 A final Elsa photo inside Hotel Miracosta above the entrance to Disneysea. Truth be told, I don’t consider myself a cosplayer. I love a good costume party, I thoroughly enjoy dressing up, and I like to design and create my own clothes and costumes. However, I tend to think that cosplay is more specific (and requires more dedication) than this. 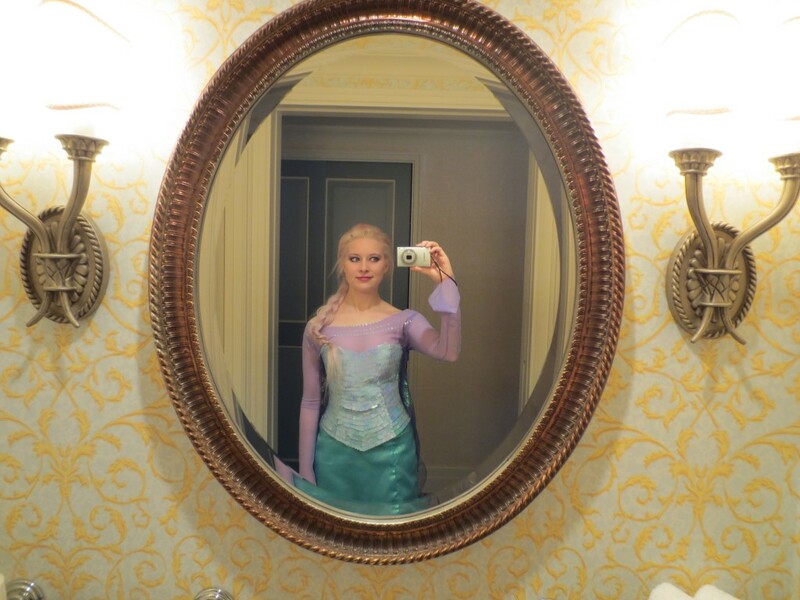 Where does this place my Elsa costume, then? I’m not sure, but I don’t really mind – you can call it cosplay if you like, or you can just see it as a costume like I do. Either way, I had great fun putting it together and then wearing it around Disneyland for the day!